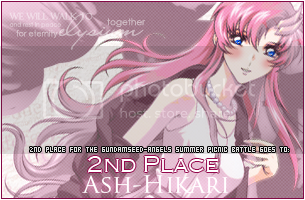 And wow, 2nd place with that tiny little banner :o Thanks for voting minna! And next time hopefully more people will have time to participate. 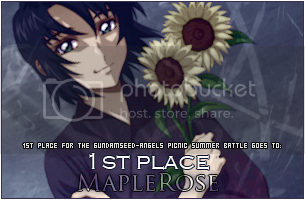 And Kitten-chan where is that picture of Athrun from? I don't recognise it. Congrats everybody who won and who participated in this contest! Let's celebrate the winners and have fun! Yay! Congrats everybody who won and who participated in this contest! Let's celebrate the winners and have fun!